There seemed to be a good bit of discussion during and after the London Olympics about asthma, athletes, and performance. Alex Hutchinson, a columnist for Runner’s World, has written several articles on the subject. I’m not going to evaluate the relationship between asthma (or taking asthma meds) and performance, because I don’t think I could do a better job than Hutchinson or those far more qualified to discuss matters of pathology and human physiology than I. But I do know a lot about dealing with asthma and sports, as a life-long asthmatic, and a life-long athlete. The strategies I’ve come to rely on to manage my asthma — strategies that allow me to continue running — are supported by these (kind of) recent studies about asthma and exercise-induced bronchoconstriction, which is pretty encouraging. This marks a shift from outdated advice in which asthmatics were warned to avoid exercise – and is probably the most important message to emerge from the flurry of research sparked by fears of performance-enhancing puffers. Sensitive airways may be an occupational hazard for Olympic endurance athletes, but for most of us – even those with asthma – exercise remains a crucial way to keep your lungs and airways working properly. This idea seems follow other asthma-management philosophies (however unofficial they may be) that don’t rely on complete isolation from potential triggers. My allergies triggered by dogs and cats, including asthma attacks, have always been much less severe when I’ve been regularly in contact with, if not surrounded by, pets. Thankfully, my parents didn’t take my childhood asthma diagnosis as an unalterable decree to banish any animals from our home. As a toddler, I took naps curled up with our family’s Labrador, Winnie. My mom took in a stray cat one very cold winter, a beautiful tortoiseshell we named Marmalade. 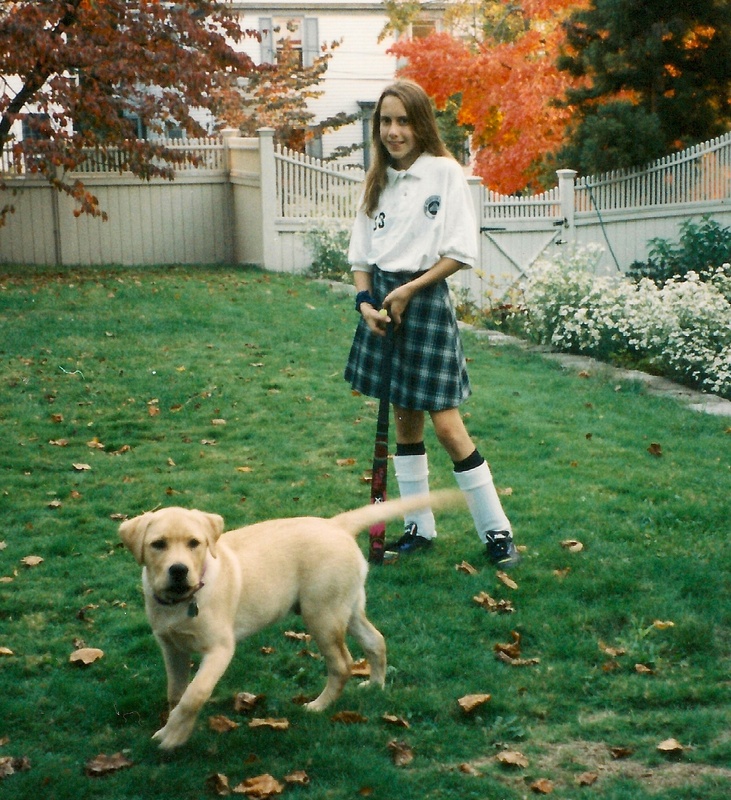 I helped train our second lab, Oboe, when I was a sixth-grader. Our family also included a rabbit (who I innocently named Woody), and many and various fish, lizards, and frogs. I know that consistent exposure to animals helped to build up tolerance to the allergens they brought, and, while my asthma is genetic, science backs having a dog around to help develop infants’ immune systems and reduce the likelihood of developing allergic responses and diseases like asthma and eczema. Similarly, being active helps bolster your immune system and can improve asthma symptoms, rather than just exacerbate them. Just as they didn’t prevent me from being around animals, my parents allowed and encouraged me to play sports (and whatever sports I wanted, except ice hockey, which made me sad because I really wanted to be like The Mighty Ducks). Being active helped (and still helps) my body better “cope” with asthma, strengthening it against too-frequent attacks, and making symptoms less severe when they did arise. 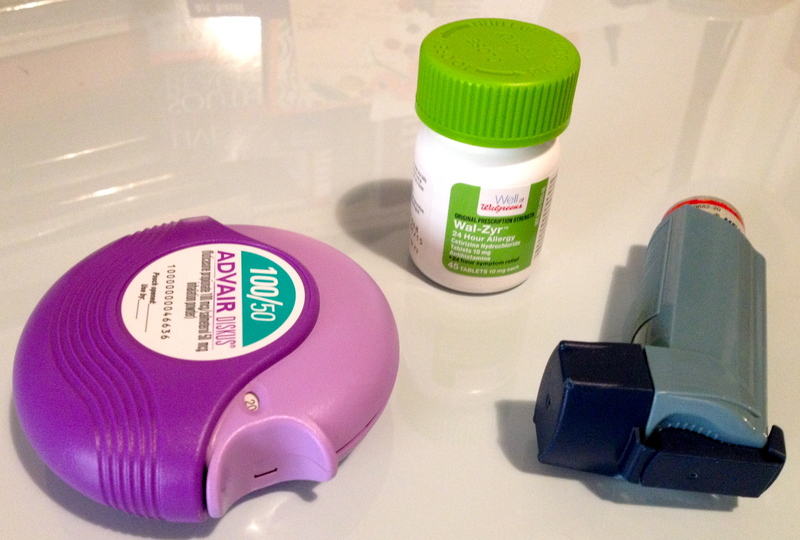 Still, I wouldn’t be able to be as active (or be the animal lover that I am) without a steady stockpile of rescue inhalers, allergy pills, and steroid/bronchodilator preventatives. I’ve always been of the opinion that far from improving or enhancing my athletic performance, the drugs I take to control and prevent asthma attacks act more as a leveler, allowing me to run, cycle, or ski just like all the non-asthmatics. Environment, weather, and altitude have all tended to affect whether I have an attack or not. Living at altitude, in Boulder during college and later in Tahoe for a winter, proved a significant challenge for my lungs. I experienced frequent asthma symptoms while working as a ski instructor in Tahoe, from a combination of the altitude, cold and dry mountain air, and admittedly, not being in the best aerobic shape. In Boulder, once I got over the altitude-hangover and began to increase my aerobic endurance far beyond what I was capable of in high school, EIB attacks became a common — and seriously annoying — obstacle. The more lasting and more significant effect of this episode was my realization that if I wanted to be successful as an athlete, at any level, I would need to pay much closer attention to my body, including the particular pathology of my asthma. I also began to realize that there was a difference, in terms of symptoms, triggers, and consequences, of asthma attacks related to allergic reactions, and asthma attacks related to exercise, though I would not know about EIB until many years later, while perusing medical journal articles on the subject. Rather than having a full-on, wheezing asthma attack, what I normally experience while running is exercise-induced bronchoconstriction (EIB), which essentially makes me feel like my lungs have suddenly shrunk to half their size, if not disappeared entirely. My breathing becomes very heavy, and very shallow, almost as if I’m hyperventilating. This usually happens if I’m pushing hard at the end of a faster-paced run or race; I’ve finished several 5k’s so short of breath, I’m sure a few fellow runners were wondering what on earth was going on with me. I’ve also experienced EIB during spin classes, especially after an intense, fast-paced “race” interval. Traditional asthma attacks — the wheezing variety — are generally triggered by allergens like dust, pollens, cats, cigarette smoke, or mold. As long as I keep taking my allergy pills and preventative inhaler, though, these attacks are not very common, thankfully. To avoid EIB attacks while running, I try to always include a decent warm-up of about 20 to 30 minutes, with several high-intensity intervals, before any major run or workout. Some days I measure by time, others by distance, but it will usually be something like five minutes of easy jogging, followed by four to six 30-second intervals at slightly faster than 5k pace with 60-second recoveries, and another five minutes of easy running around 10k pace, leading into whatever workout I have planned. I will usually take a puff or two from my albuterol inhaler just after finishing the last 30-second interval, which seems to deter EIB occurrences during my regular workout more effectively than taking it before I start running altogether. various training schedules and pre-exercise warm-up periods have been proposed to attenuate the bronchoconstrictor response to exercise in asthmatic subjects…if an asthmatic subject repeats an exercise challenge within 4 hours, the resulting EIB will often be considerably less severe than that experienced during the first exercise challenge…some degree of exercise refractoriness exists in almost all subjects with EIB (28 out of 29 subjects). The authors note that this phenomenon leads to the idea that “some asthmatic athletes can ‘run through’ their asthma.” While I would love to appear so superhuman, the way someone like me can get their body to do this is a bit more of the earth. Essentially, what this study and others like it are saying is that if you create a warm-up that will trigger a bronchoconstrictor-response, your lungs will (more likely) be primed against an episode of EIB during your main workout or race. The present study has shown that asthmatic athletes can use a bronchoconstriction-triggering warm-up prior to training and/or competition as an effective prophylaxis for EIB…[and] employing a high-intensity warm-up could lead to less reliance on the need for pharmacological medication before exercise. Personally, I find all the science behind this fascinating (it wasn’t based on a completely misguided notion that I was a pre-med biology major for two years of college). But if all this makes your head swim, Hutchinson explains a warm-up strategy with less of the science-geek stuff. Also, bear in mind the importance of discussing these strategies with your doctor, and/or doing a bit of research and reading on the subject yourself; what works for me may not necessarily work for you. This entry was posted in Asthma, Running, Training, Warm Up and tagged Asthma, asthma and dogs, athletes with asthma, EIB, Exercise-induced bronchoconstriction, running, running warm-ups, running with asthma on December 13, 2013 by libbygates.